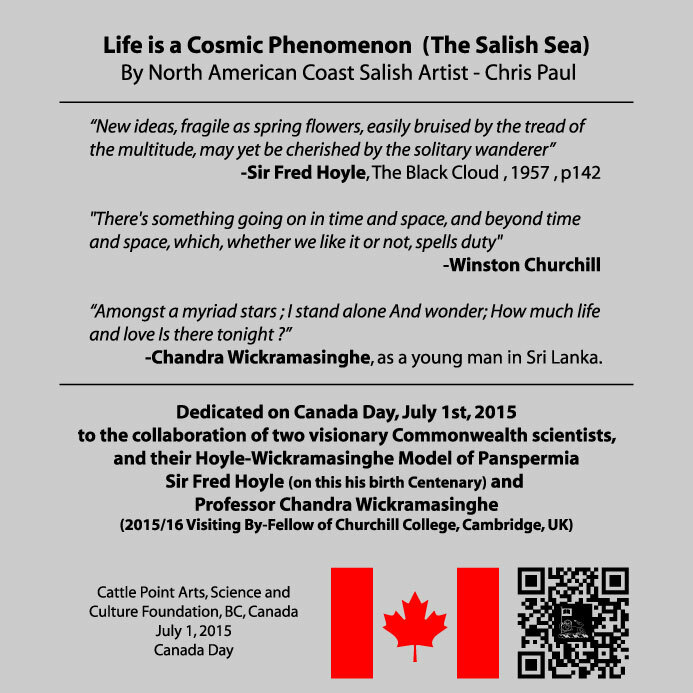 Cause of Cambrian Explosion – Terrestrial or Cosmic? Microbiomes: A Possible Space Component? 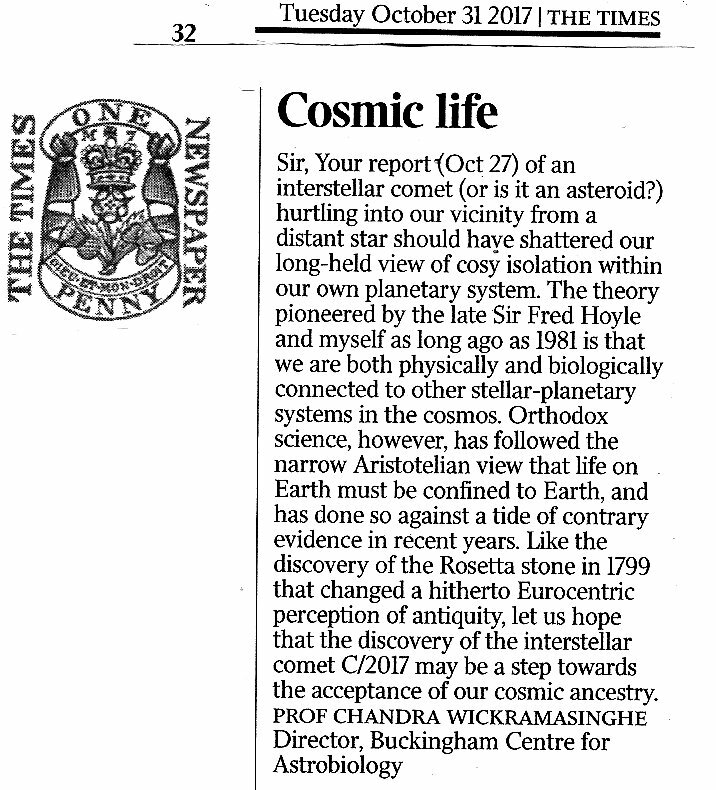 Where Did Life Come From? 2017-11-22: Are We the Aliens We Seek? 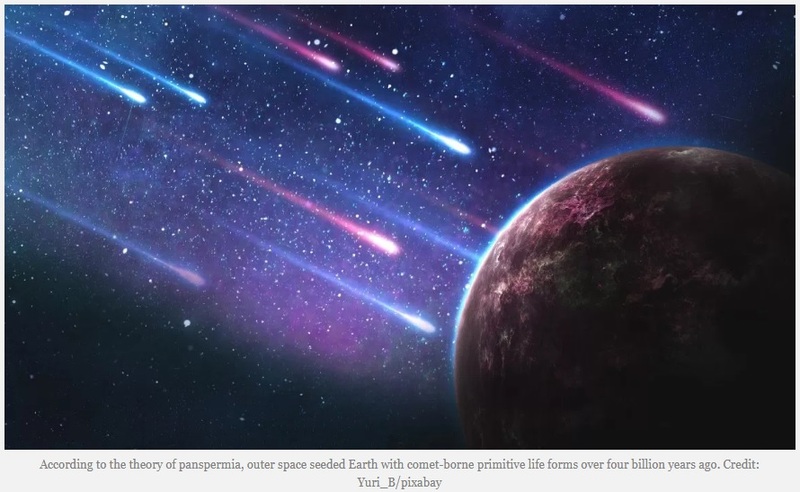 “Aliens have reached Earth, say researchers from the University of Edinburgh’s School of Physics and Astronomy, basing their dramatic findings on a new study of fast-moving extraterrestrial dust that constantly rains down on our atmosphere. These particles serve as tiny ‘spaceships’ for microorganisms from alien worlds that traverse the vastness of interstellar space for eons before reaching Earth. This dusty downpour could also collide with biological particles in Earth’s atmosphere with enough energy to send them careening into space, and conceivably onwards to other planets in other solar systems. Astrobiologists earlier found evidence of microorganisms reaching the planet in air samples taken at extreme altitudes, and from the discovery in 1984 of fossilised worms in a meteorite from Mars. Exciting data from the 1976 Viking space probes, which actually confirmed the presence of Martian microorganisms but were overlooked for 25 years by careless scientists, back these findings. In 2006, researchers from Columbia University discovered traces of amino acids – the building blocks of life – on meteorites that landed in Australia and the US less than a hundred years ago.